You might know Diamondback better as an exercise bike company, but they make some surprisingly good elliptical trainers and other cardio equipment for the home. The company recently introduced a new model to go along with the popular 1260 Ef, so we decided to review the brand again to see if anything changed since our first look a couple of years ago. Let's jump in to see what Diamondback Fitness is all about. Diamondback has been in business since 2007, and they draw on years of experience in the industry to manufacture affordable cardio equipment for the residential market. All of their products, including their ellipticals, are well designed and built strong, with some of the best warranties you'll find anywhere. Although they offered just one elliptical for many years, due to its popularity they decided to add another model to the mix. They also recently updated the rest of their cardio lineup as well. 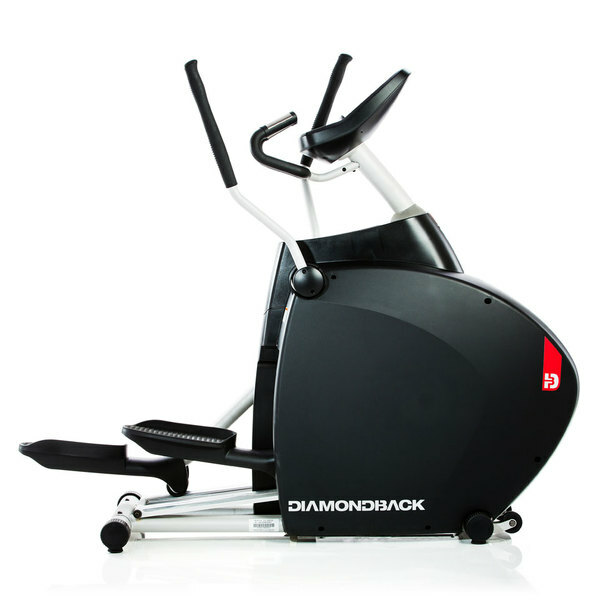 As we mentioned, there are currently two Diamondback ellipticals: the new 1060Ef and the up-level 1260Ef. The new model, introduced for 2019, is incredibly compact...only 49.2" long, compared to the typical 80+ inches of a traditional elliptical. The 1060Ef has an adjustable stride length. You can choose from 18, 20 or 23 inches. There are 8 built in programs, 4 heart rate based workouts and 4 custom programs to choose from, and it has a 300 lb. max weight capacity. The up-level 1260Ef, is also relatively compact at around 70" long, and is a bit sturdier than the 1060Ef. Unlike the 1060Ef, it has a fixed 19" stride, additional workout programs, 10 levels of incline capability and a 325 lb.max weight capacity. It also has wireless heart rate monitoring capability, as opposed to grip only on the base model. Both Diamondback ellipticals offer a smooth, natural stride, low impact training, easy to read LED displays and industry leading warranty coverage on frame, parts and labor. Which Diamondback Elliptical Should You Pick? The Diamondback 1260Ef has been around for quite some time, and has won numerous industry awards over the years. It is going to give you a wider range of built in workout programs, a unique personal trainer function, comfort grips and grips as well as wireless heart rate monitoring for more accuracy. The Diamondback 1060Ef is much newer, more compact and gives you a wide range of stride lengths to choose from as opposed to the fixed length on the 1260Ef. The two ellipticals differ in price by about $600-$800 depending on the current sale price, so that's definitely worth considering. For lighter usage, or for those with very limited space in their workout areas, we would say the 1060Ef is probably the better choice. For heavier usage, or for those with a more open budget, we would lean towards the more durable 1260Ef. However, very tall individuals will probably be better served with the higher stride length capability on the 1060Ef, as it can go up to 23". That's something worth considering as well. How Does Diamondback Compare to the Competition? Diamondback Fitness is in a tough position, as there is a lot of competition for both of their elliptical trainers. The base 1060Ef, at around $1,500 or so on sale, competes directly with top selling ellipticals like the NordicTrack FS5i and ProForm Pro 16.9. Both of these trainers offer a lot more features including touch screen displays, more built in workouts, iFit Coach and more resistance levels to choose from. The top of the line 1260Ef, at around $2,300, competes directly with the very best ellipticals from NordicTrack and ProForm as well as entry level models from commercial brands like Life Fitness and Precor. So Diamondback doesn't have it easy, as there are so many ellipticals out there that it needs to compete with, plus these other brands are much more popular and spend more on advertising. Think about it...when is the last time you saw a Diamondback commercial or even a banner ad? We thought so. Compare this to NordicTrack and ProForm that are all over the place, especially during the holiday times. But keep in mind Diamondback ellipticals are very high quality, and they definitely have their advantages over the competition. It's a matter of making and apples to apples comparison and deciding which one most appeals to you. You can read through our in-depth reviews of the two current models below to learn more about each one. 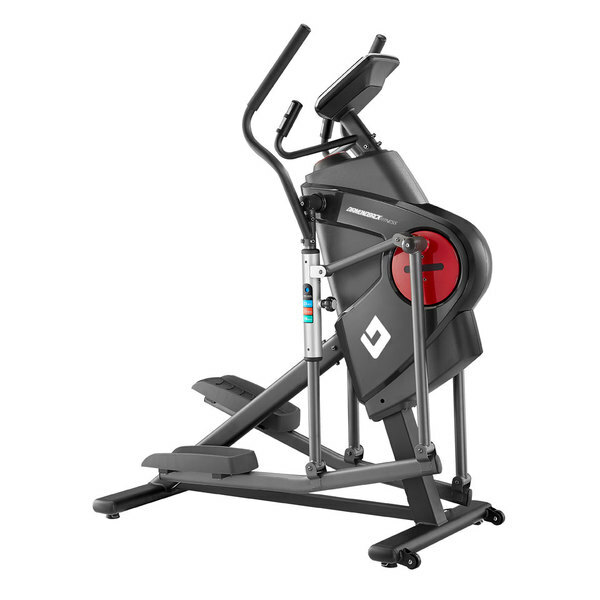 Diamondback 1060EF - the newer of the two ellipticals with a compact design, adjustable stride up to 23" and a nice array of built in workout programs. Diamondback 1260EF - the up-level model with a fixed 19" stride, more built in workout and wireless heart rate monitoring capability. Click here for special discounts on all of the current models!